Huffington Post has published a discussion Joel Nitzkin and I had with psychotherapist Robi Ludwig (here). HuffPo was not able to use the large number of resource links we provided, so I am republishing the article with the full complement, below. The historical roots of tobacco go way back to almost the beginning of time. 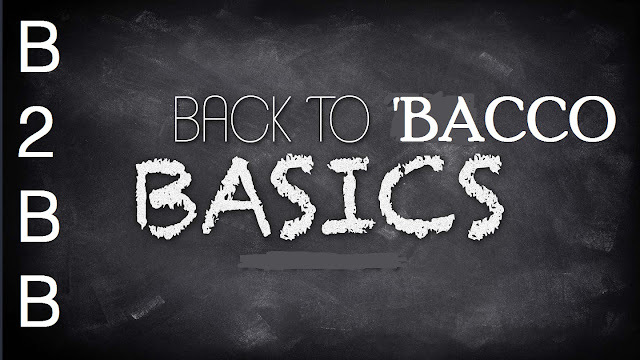 Some date it as early as 1 B.C. when the American Indians used it for religious and medicinal practices. Given what we know about tobacco today it’s almost impossible to believe tobacco was ever thought of as a cure-all for everything from dressing wounds to the standard go-to painkiller. By the 1600’s tobacco was so popular that it was even used almost as frequently as money. Some even referred to it “as good as gold”. But some of the dangerous effects of smoking tobacco was starting to become apparent during this time, too. Sir Francis Bacon, the 1st Viscount St Alban, an English philosopher, statesman, scientist, jurist, orator, and author, who served both as Attorney General and as Lord Chancellor of England, admitted to having a very hard time quitting his tobacco use and found it to be an impossible “bad” habit to break. When we fast forward historically to the 1960’s, this is when the Surgeon General reported the various dangers of smoking to our health. And by 1971 Commercial Ads for cigarettes were taken off the air in the United States as an attempt to curb this dangerous and growing habit. Even today, with everything we know about the dangers of smoking, there are still some misperceptions out there about tobacco use, which could negatively impact up to 8 million adult American Smokers, but not if two prominent doctors have their way. Now Dr. Rodu and Dr. Nitzkin are trying to influence the public about Tobacco use by setting the record straight. Dr. Brad Rodu, who has studied the science behind tobacco harm-reduction strategies and has been appointed the first holder of the endowed chair in tobacco harm reduction research at the University’s James Graham Brown Cancer Center and Dr. Joel Nitzkin, public health physician, who is board certified in preventive medicine and has been involved in tobacco control activities since the late 1970’s, have made it their professional mission to reduce tobacco-related illnesses. Dr. Rodu and Dr. Nitzkin strongly believe that smokers who are unable or unwilling to quit cold turkey should be informed about much lower risk smokeless tobacco or e-cigarettes. I spoke with both doctors to find out how they believe adult smokers can potentially be spared from life-threatening smoking-related illnesses. Here’s more about what they both had to say on this topic. Dr. Robi: What exactly is smokeless tobacco, why was it created? Dr. Rodu and Dr. Nitzkin: Anthropologists and historians believe that tobacco has been used by humans for thousands of years. The plant originated in the New World and was completely unknown outside the Americas until 1492, when Columbus first encountered native Americans using tobacco for ceremonial and medicinal purposes. They smoked and chewed tobacco, the latter serving as the provenance of modern smokeless tobacco products. Smokeless tobacco dominated the American market prior to the 20th Century, because a day’s supply could be carried and conveniently used in both industrial and agricultural work settings. In contrast, smoking was uncommon because producing cigars, cigarettes and pipes was labor-intensive and expensive. In addition, smoking was very inconvenient before a safe and portable source of fire was readily available, which didn’t happen until the widespread use of safety matches in the late 1800s. Dr. Robi: What are the different kinds of smokeless tobacco? Dr. Rodu and Dr. Nitzkin: In the U.S. there are two main kinds of smokeless tobacco. Loose leaf chewing tobacco (“chew”) consists of shredded tobacco leaves and stems packaged in foil pouches. Chew is also heavily sweetened and flavored. It is used in fairly large quantities, which produces the typical swollen cheek appearance and generates a lot of juice. Moist snuff, also called dip tobacco, is the most popular smokeless product in the U.S. It is manufactured from dark, fire-cured tobaccos grown in western Kentucky and Tennessee, fermented and ground to the consistency of finely chopped parsley. Multiple ﬂavors are available, but moist snuff does not contain sweeteners. It is used in small amounts, generally as much as can be grasped between the thumb and forefinger in a “pinch.” The tobacco is then placed inside the lower lip between the cheek and gum. Moist snuff is hard to contain in one spot, so manufacturers have packaged pinch-sized portions in small tea-bag type paper pouches. The pouches are no larger than a piece of chewing gum or a breath mint, making them virtually invisible to place and use. They also don't disintegrate, which makes the tobacco easy to remove after use. Since 2005 a Swedish version of moist snuff, called snus, has become more popular in the U.S. Rather than fermented, the tobacco is treated by a pasteurization process that gives it a different flavor than American dip, and somewhat lower levels of unwanted contaminants. Snus is also marketed in many flavors and small pouches. Americans place moist snuff in the lower lip, where it generates juice and spitting. In contrast, Swedes don’t have to spit when they use snus, mainly because they place it inside the upper lip. Nicotine is absorbed from all smokeless tobacco products through the lining of the mouth, giving the user a “buzz” very similar to, but with a slower onset than that achieved by smoking a cigarette. Nicotine is not the major cause of any disease; it is no more harmful than caffeine, which is also addictive but safely consumed in coffee, tea and cola drinks. Dr. Robi: Are different kinds of smokeless tobacco better for you than others? Dr. Rodu and Dr. Nitzkin: No tobacco product is absolutely safe. All contain traces of unwanted contaminants in addition to nicotine. But it’s been known for two decades that, by avoiding smoke, chewers, dippers and snusers eliminate about 98% of the health risks associated with smoking. The risks are so small that even large epidemiologic studies with hundreds of thousands of users cannot provide indisputable evidence that smokeless tobacco causes any disease. With risks that small, it is not possible to prove that one kind of dip, chew or snus is safer than the other. Dr. Robi: Why is there so much confusion about smokeless tobacco and if this is a healthy alternative to regular cigarettes? Cigarettes are so popular that tobacco controllers incorrectly use the terms “smoking” and “tobacco use” as if they were synonyms, and they have become obsessed with the notion of a tobacco-free society. They have transformed a legitimate war on smoking into a moral crusade against all tobacco products, a mistake that was tragically made with alcohol almost 100 years ago. When a federal survey asked in 2015 if smokeless tobacco products are less hazardous than cigarettes, only 11% correctly answered “yes”; 67% responded “no” and 22% didn’t know. In other words, 89% of Americans have no clue that dipping, chewing and snusing are 98% safer than smoking. They are confused because they have been misinformed for decades by government agencies and medical organizations that all tobacco products are equally harmful. Dr. Robi: Why do you think the FDA has not informed the public about the whole truth about smokeless tobacco? Dr. Rodu and Dr. Nitzkin: Obsessed with the notion of a tobacco-free society, the FDA so far has taken a hard line, falsely claiming that “To date, no tobacco products have been scientifically proven to reduce risk of tobacco-related disease, improve safety or cause less harm than other tobacco products.” In other words, no tobacco product is absolutely safe. The agency is defying a key element of its stated mission – “to provide the American public with factual and accurate information about tobacco products.” And Congress in 2009 prohibited tobacco companies from any communication with smokers regarding safer smokeless alternatives without the express approval of the FDA. The FDA has refused to acknowledge that its smokeless warnings are inaccurate. Even worse, some of its regulations threaten to remove large numbers of smokeless and vapor products from the market. In some cases the regulations require companies to conduct dozens of unnecessary studies on minute product details and human effects, which could take a decade or more. This is regulatory fundamentalism, a bureaucratic maze that condemns smokeless tobacco products and e-cigarettes, and therefore tobacco harm reduction, to purgatory. With this delay, cigarettes will continue to dominate the American tobacco market, and 440,000 Americans will die from smoking-related disease every year. 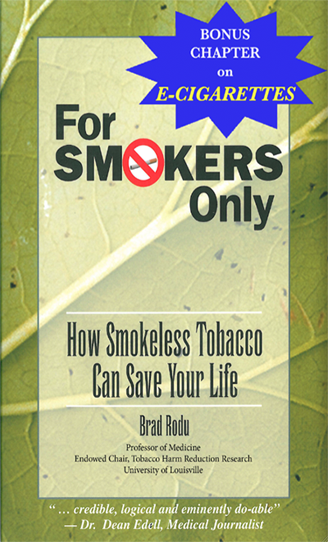 Dr. Robi: How many adult smokers use smokeless tobacco as a way to quit smoking altogether? Dr. Rodu and Dr. Nitzkin: Federal surveys are usually used to count current, former and never tobacco users. The surveys generally don’t ask former smokers if they switched, but there was one exception. In 2000, the National Health Interview Survey asked former smokers if they had quit by switching to smokeless; some 260,000 men said yes, providing the first population-level evidence that smokeless is a viable cigarette substitute. The 2015 NHIS documented that there were 5.1 million current smokeless tobacco users that year. Unfortunately, the survey didn’t ask former smokers specifically about switching, but about 1.6 million smokeless users were former smokers, meaning they had switched to safer products like dip, chew or snus. Almost 1.4 million smokeless users were current smokers; if they were made aware that smokeless was 98% safer, they might have fully switched. Dr. Robi: How many smokers die every year from smoking cigarettes? How about from smokeless tobacco? Dr. Rodu and Dr. Nitzkin: According to the CDC, the annual death toll among smokers is 440,000. Despite the fact that smoking rates have been plummeting for three decades, the CDC death toll hasn’t changed for nearly 20 years. In 2013, an FDA scientist concluded that the CDC estimate is too high. The CDC provides death counts among smokers with single-digit precision (the current number is 439,033), but when it comes to deaths from smokeless use, the agency claims it can’t be done. In fact, the CDC has the necessary data; its disinclination is likely due to the very low number that would result. British researchers are not so inhibited; they reported in 2015 that there were no cancer deaths due to smokeless tobacco in the U.S. and Canada. Last year, U.S. government-sponsored research revealed that the number of mouth cancer deaths among men who use dip or chew is zero. Dr. Robi: What is the “Swedish Experience” and how does it connect to tobacco harm reduction? Dr. Rodu and Dr. Nitzkin: In virtually all developed countries, cigarette smoking has been the dominant form of tobacco consumption for over 100 years. Sweden is a remarkable exception. Smoking rates among men in Sweden have always been lower than in any other developed country, resulting in the lowest rates of lung cancer – indeed, of all smoking-related deaths. The reason is that, instead of smoking, Swedes enjoy nicotine and tobacco by using snus, a 200-year old smokeless product. Numerous published studies have documented that male smokers in Sweden have used snus as a gateway to a smoke-free life, but that is only part of the story. 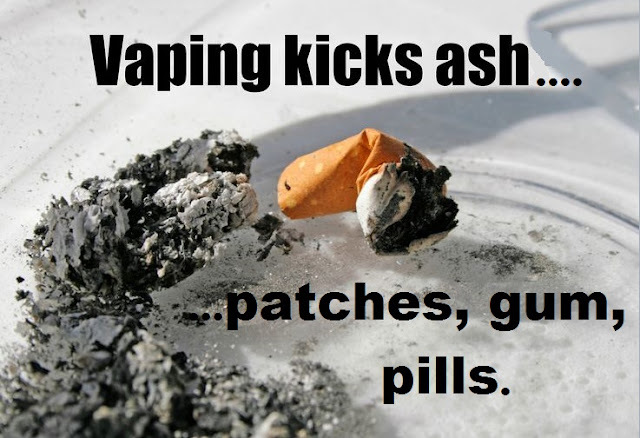 Snus use has also played a valuable role in steering tobacco initiators away from cigarettes. Any tobacco use among children should be discouraged, but Swedish boys who experiment with tobacco choose snus, the product their fathers use. This fact is well-received by tobacco research and policy experts who focus on eliminating deaths from smoking, not on eliminating tobacco. With respect to tobacco, Sweden is unique in the 28-country EU, which bans snus everywhere else. The effect of this prohibition is profound. If men in all EU countries had the smoking rate of Swedish men, nearly 300,000 deaths from smoking could be avoided each year. The Swedish experience also has implications for its neighbors Norway and Finland. In 1995, when Sweden and Finland joined the EU, Sweden applied for and received a waiver on the EU’s existing snus prohibition, thereby allowing Swedes to continue producing and selling within the country. Finland adopted the ban, and since Norway never joined the EU, snus remained available there. Norwegian tobacco research experts have documented that snus suppressed smoking rates there. In Finland, the decline in smoking levelled off after the 1995 snus ban, while the decline in Sweden continued. The Swedish experience wasn’t launched as a government program or anti-tobacco campaign. It arose organically as tobacco users in Sweden made rational choices to use snus instead of cigarettes. Dr. Robi: If you had to state a clear message to the public about smokeless tobacco, what would it be? Dr. Rodu and Dr. Nitzkin: The Swedish experience exemplifies harm reduction: consumers making rational choices to use smokeless instead of cigarettes, based on accurate perceptions and preferences. The 40-50 million Americans who consume tobacco deserve truthful information from government and health organizations about vastly safer smokeless tobacco, e-cigarettes and vapor. Millions of them could make the switch from combustible to smoke-free and lead longer and healthier lives. How Swede it could be. Cigarette smokers prefer e-cigarettes to FDA-approved quit methods, according to a research brief authored by the CDC Office on Smoking and Health, RTI International and the University of North Carolina (here). Using a nationally representative online survey of 15,943 adult smokers who tried to quit during the past three months, they found that 75% used one or more methods to quit, and 25% used only one method, as shown below. E-cigarettes were far more popular single quit aids for partial or complete substitution (2.2%), compared with nicotine patches/gum (0.8%) or other prescription medicines (0.4%). They were also more popular when more than one aid was used. Of note, telephone quitlines were rarely used. The government has poured millions of dollars into this mini-industry, yet quitlines were used by a mere 0.02% (unweighted, n=3) of smokers as single quit aids in this study. Participants here were current smokers. A similar analysis performed on former smokers will show even more impressive effects from vaping. The fact is that the CDC has documented with real-world data that e-cigarettes are preferred smoking cessation aids, negating the argument that evidence is merely “anecdotal” (here). Our government should adopt the UK Royal College of Physicians’ position that “the hazard to health arising from long-term vapour inhalation from the e-cigarettes available today is unlikely to exceed 5% of the harm from smoking tobacco.” (here). In Britain e-cigs have been the leading quit-smoking aid since 2013 (here, page 46).